As the weather heats up, we find ourselves dreaming of quiet weekend afternoons and backyard dinner parties with family and friends. More social gatherings means new opportunities to share food, so why not bring something fresh that everyone will love? Today’s recipe will help you branch out from the traditional “chips and salsa” appetizer with a dish that excites the taste buds. These no-fuss falafels are simple, fun, and pack a powerful nutritional punch. So many Canadian families face this problem: You make a large family meal and your kids only take two bites, or you wish there were meals everyone could agree on. The good news is that taking control of dinner hour is within your reach. Whether you are dealing with picky eaters, rushed mealtimes or other dinner table dilemmas, this year’s Nutrition Month campaign – Take the Fight Out of Food – has a solution. I’ll walk you through a 3-step problem-solving approach, which works well for nutritional concerns in general. Jessica works full-time and prepares dinner for her family every night. She often struggles to get a meal on the table that everyone will enjoy. One child is quite picky, one doesn’t want to try new things, and no one agrees on the foods they like. Many people assume that if they take a multivitamin their nutrient needs are covered and they can just eat whatever they like. Doritos and ranch dip are totally fine for dinner if you wash a multivitamin down with beer first…right? 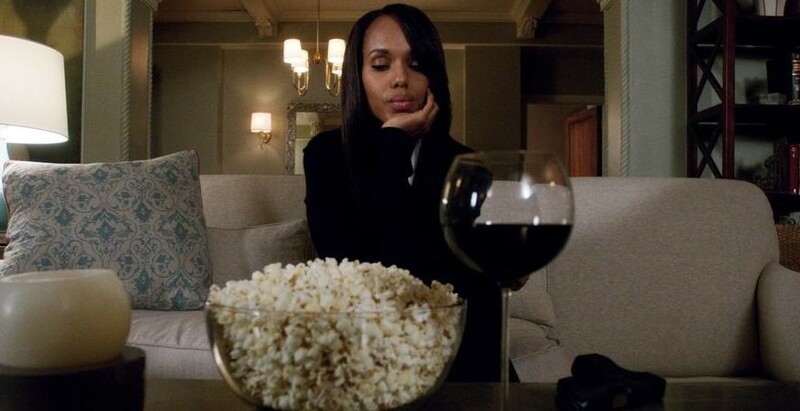 While I am sure I am not the only one who has occasionally resorted to having popcorn and a glass of red wine for dinner – I call it my Olivia Pope dinner – I do this knowing that a well-balanced diet cannot be replaced with a pill or two. Everyone keeps focusing on how much groceries are going up this year, which is estimated to be about $420 for the average family. Compared to the $345 groceries were predicted to rise in 2016. The price of meat and vegetables are expected to increase the most. But is this the right question to be focusing on? I would argue that it isn’t. Most families waste well over $1000 in food each year. If we focus on how to reduce our food waste instead of what we can buy that is cheaper (and potentially more processed and less nutritious), we could actually see our grocery bills go down this year. This approach saves you money and also helps reduce your negative impact on the environment as the production and processing of food is energy intensive. Food waste in the landfills also produces methane — a potent greenhouse gas. A great reason to compost. When a client walks into my office with a food record, what do you think the first thing I look for is? How many carbs or how much sugar my client is eating? How often he/she eats vegetables? Consumption of sugar sweetened beverages? How many times my client eats out at restaurants? You’ve heard your friends say it, your family say it, and likely even complete strangers say it – “It’s my cheat day!” I even heard my fitness instructor say it to my whole class last week, which is what sparked this somewhat ranty blog post. Cheat day? What does that really even mean? OK, I know what people mean when they say it…They are describing a day where they can eat whatever they want and not feel guilty about it, because it’s not something they would normally do. It’s a day without restrictions. That doesn’t sound so bad: You eat healthy most days, but once in a while you like to have a day where you “allow” yourself to just eat whatever you want without worrying about your waistline. Maybe there is even an excuse, like a friend’s wedding or your birthday. Does that sound about right? Summer is FINALLY here in Vancouver. I know Ontario has been suffering from the heat this summer for a while already, but in BC we have had unusually cool weather. But, alas, the heat has arrived! With the heat ramping up it is important to ensure you stay hydrated. Does coffee and tea count towards your fluid intake? How much do you actually need to drink in a day? Does food contribute to your fluid intake? Why is it especially important for those over 65 years old to stay hydrated? Find out the answers to these questions, along with some easy tips for increasing your fluid intake in my latest Huffington Post article: Stay Hydrated This Summer With These Simple Tips.